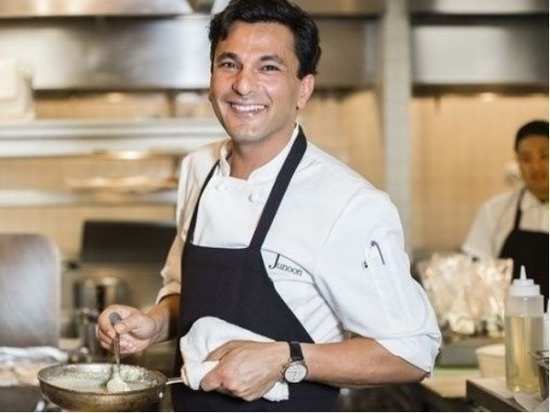 Indian-American Michelin-star chef, Vikas Khanna is one of the most popular and loved culinary celebrities. He has created countless meals but there's always one meal that will forever hold a special place in his heart- the one he shared with a Muslim family, who saved his life. For their noble deed, Khanna has fasted for one day every year during Ramadan, for over two decades to honour that family. On Monday, the chef took to his Twitter account to post that after all these years he had finally been reunited with that family. Well, isn't this just heartwarming? Stay tuned for more updates. 3'Zero' teaser: We couldn't have received a better Eid gift! 4Kylie Jenner deletes all photos of her baby girl, Stormi Webster on Instagram! 5Nick Jonas brings Priyanka Chopra as his date to cousin's wedding!